Have you ever felt like you couldn’t get through a day without experiencing some lower back pain? This is a common problem in America with millions of people suffering from the same pains. With so many of these people visiting their physician to correct the problem, it’s often discovered that leading a sedentary life is the root cause. While this is not always the case and sometimes the pain varies from one patient to another, a sedentary lifestyle that incorporated unexpected activity or improper back use will very likely harm the lower back. Instead, you can use these tips to strength the back and heal your back naturally. You can use a few specific exercises to strengthen your lower back. These exercises pinpoint the area and strengthen the muscles so that when you go to use your lower back, it’s already prepared for the movement or pressure it may experience. You can discuss these exercises with your doctor to see if they are right for you before using them. One exercise that you can try or strengthening the region is a pelvic tilt that you’ll do while lying on your back. First bring your knees pointing up with your feet close to your hips and begin rotating the pelvic and tailbone downward while tightening the muscles in the lower back. Keep your arms down at your side while you do this and try to rotate your pelvis to the opposite direction while slowly using your legs to life the tailbone and lower back off the ground. Tighten your muscles while your lower back and hips are off the ground and the hold the position for a few seconds before releasing and repeating. You’ll be supported by your legs, arms, and shoulders when these target areas are off the floor. You can also try the kneeling extension exercise which has you on your hands and knees and lifting your leg straight out for a 10 second hold before repeating. This is a great way to strength the lower back and gluteus muscles so that this region can be more supported. Lastly, try the half-lifted standing fold in which you’ll stretch the hamstrings while strengthening the lower back. Make sure you’ve allowed your core to be strengthened before trying this one. Stand tall with your knees slightly bent and bend forward so that the body is at a 90 degree angle. You can rest your hands on your thighs but make sure you keep the head lifted and the back muscles tightened. Then release by folding all the way over. Why is the back so vulnerable to injury? Anyone that has experienced pain for more than a month of time knows that something is not right in the back. You’re likely to be making a phone call to the doctor or a chiropractor to see if there is a simple treatment that can handle the problem and hoping that it isn’t going to involve prescription drugs or more invasive treatment. It’s so common to end up as one of these back sufferers since in the US, people tend to work at desks for long periods of time during the day and don’t always make a point to move away from the desk or incorporate fitness into their lives. Being one of the most complicated areas of the body when it comes to the combined structure of your bones, nerves, muscles, and ligaments that are all in the largest part of the body, it makes sense that it’s prone to take a beating harder than other areas may. This is also due to the fact that your body puts so much of its weight on the lower back causing it to experience the most wear and tear. Even though it may seem that physical activity is most likely to harm the area, it’s actually the sedentary lifestyle in which you keep it in an unhealthy position all day. 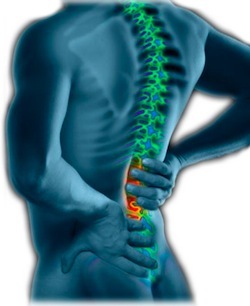 You could end up with disc regeneration and even obesity if your lower back’s musculoskeletal system is worn down. If you’re suffering from lower back pain, it’s time to focus on strengthening this area and making some lifestyle changes. Make sure to give this part of the body more love and attention going forward knowing how vital it is to your overall wellbeing. Which Nutrients are Best for Women? While all people need to focus on getting the right nutrients in their body, men and women can have some variances in what they need for their specific gender. For example, women need more calcium because they are at a greater risk of ending up with osteoporosis. Men need more protein and calories than women do because men have a larger body and more muscle mass. Men and women both need folic acid, but women need more of it during childbearing years and require an extra supplement for it. When it comes to men and women, they need most of the same things but each gender may require more of something than the other one. Take a look at the things that women need most when it comes to the right nutrients. For starters, women need to make sure they are getting plenty of fiber. It’s recommended that you get 25g if you’re under 50 and 21g if you are over 50. It helps to keep women regular and lowers the chances of developing heart disease, diabetes, certain cancers, obesity, and even a stroke. This is particularly important during pregnancy. Choose foods high in fiber such as avocados, black beans, berries, chia seeds, and coconut. You’ve likely heard it before but women tend to be low in iron. It’s important to make sure you get enough of it because it’s important for health, sustained energy, and avoiding fatigue, infection, and irritable moods. You can find it in spinach, black beans, grass-fed beef, liver, and even dark chocolate. Iron works to transport oxygen while regulating cell growth, aiding your bone marrow in creating healthy red blood cells so that you don’t become weak. Make sure you get 18mg for 19-50 year olds and 8mg for over 50. Everyone needs calcium because it gives you strong bones, but how much do women need? Make sure you are get 1,200mg if you’re over 50 and 1,000 if you are between 19-50 years. Women are more likely to develop osteoporosis from a lack of calcium because the body will take from your bones to make sure the cells can function well. 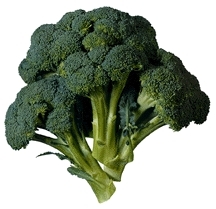 Choose more kale, raw milk, broccoli, yogurt, and watercress to get the calcium your body needs. It’s also important for your heart’s proper rhythm and nervous system function. As mentioned, folate is so important for women, especially in the child-bearing years. You need 400mcg-600mcg during pregnancy and 500mcg when breastfeeding because it’s crucial to the development of cells. Folate reduces the chances of birth defects and lowers the risk of heart disease and certain cancers. Make sure you get it before conception and during pregnancy through citrus fruits, avocado, kidney beans, peanuts, and black-eyed peas. While men need more protein than women, women still need 10-35% of their daily caloric intake to consist of protein. You’ll need more if you are into weight-lifting because it aids in muscle development, but make sure you get some grass-fed beef, organic chicken, yogurt, wild fish, or black beans in your diet for your daily protein needs. Since all of your cells have protein, it makes sense that you have to replenish your body with protein.it works to repair and create new cells, and it’s especially important for pregnant women and for children. If you were wondering what kinds of foods you should be incorporating into your diet, use this guide to make sure you are covering all of the areas that women really need to focus on for prime health. Is Tech Neck Avoidable in Today’s World? Did you know, the average American spends more than 9 hours a day staring at some type of screen? It could be a smartphone, TV or computer, but most Americans are spending more than a normal full-time shift at work staring at a screen. Even young children don’t avoid this as they spend at least two hours staring at screens and that number only increased as they get older. As you’re staring down at your phone, tablet or computer, you are putting more weight on the cervical spine. The average human head weighs 12 pounds. Even just a small tilt to send a text message will increase the amount of that weight being supported by your cervical spine. The more you tilt, the worse it gets. This posture is causing more people to suffer from strain throughout the shoulders and the neck. 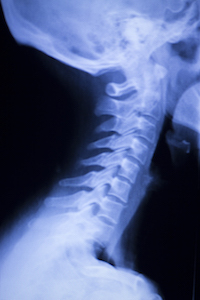 Many chiropractors are calling this “tech neck” because it’s caused by technology. The hunched over posture may cause knots in the shoulders and neck, but it could also cause disc damage or a pinched nerve. Can you Prevent Tech Neck? In a world where phones are attached to most people and computers are vital for most to function at work, is it possible to prevent tech neck? The answer is yes, but it’s not so easy. The easiest way to prevent tech neck is to spend less time in front of screens. However, this isn’t possible for some, as those working in front of a computer all day will not be able to reduce their screen time much. You can start by replacing your laptop at meetings with a notebook. This is a pretty easy change and some of the easiest changes can be found in your home. Instead of scrolling through social media while watching TV or spending time with your family, become more present at the moment and put the phone away. You can also limit your time in front of the TV and computer at home. Choose an amount of time you will spend with your devices every day at home, set a timer and when that time is gone, put them away for good. Read a book, play a game, go outside or do anything that gets you away from screens. You only get 24 hours per day. If you spend more than 9 hours in front of a screen and another 8 hours sleeping, you only have 7 hours left. About half that time is likely spent getting ready for work, eating meals or preparing meals. That doesn’t leave much left. While the best solution is to avoid screens or limit your time in front of them, you can also seek out chiropractic treatment for tech neck. With the right treatment, you can find relief and get back your good posture.